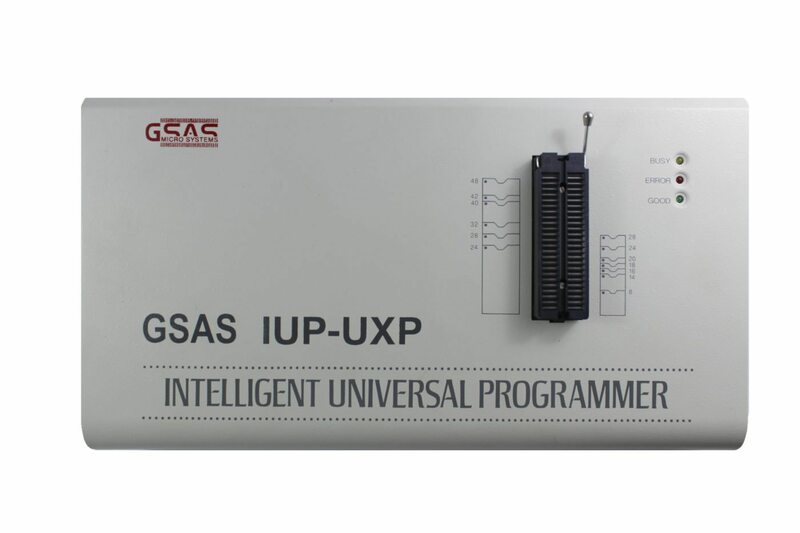 Intelligent Universal Programmer i.e GSAS IUP-UXP is an advanced version of our earlier model GSAS IUP-XP, which works through a PC’s parallel port & USB port. It features a 48pin universal pin driver and an expandable TTL pin driver. This Intelligent Universal Programmer supports over 7000 devices including PAL, GAL, CEPAL, EPLD, PEEL, MAX, MACH, PLSI, EPROM, MPU /MCU etc. GSASIUP-UXP works in various operating systems, Windows, 9x/NT/2000 and XP.